Kenworth T680 | CSM Companies, Inc. 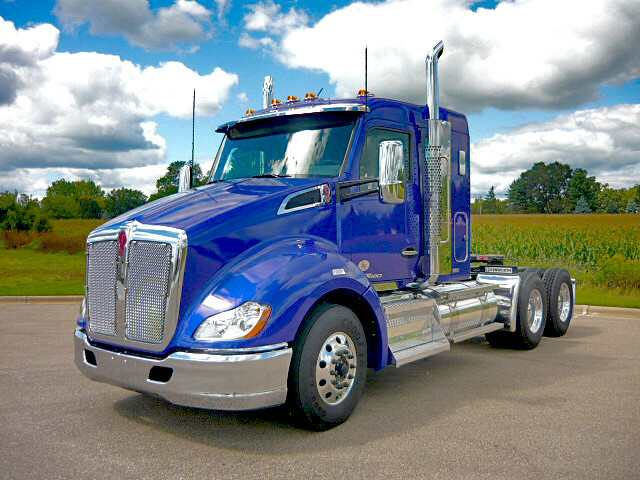 The Kenworth T680 makes a statement inside and out. Its flowing lines have been precision honed through exhaustive design testing to perfect airflow efficiency. The shape is boldly aerodynamic. Inside that sleek exterior is a control center that will make the heart of professional drivers beat just a little faster. While there will always be a difference between driving for pleasure and driving for a living, the T680 makes the distinction barely noticeable. Its sweeping exterior lines shelter a world-class cabin reminiscent of fine automobiles where groundbreaking technology enhances tradition. Space, elegant design, fine craftsmanship and an abundance of luxury details define the environment. Interior systems fit the driver fusing feel and sense of control with true ergonomic comfort. Kenworth TruckTech+ Remote Diagnostics enhances vehicle diagnostics by providing engine health information for Class 8 Kenworths, equipped with PACCAR MX or Cummins diesel engines, to fleet managers and Kenworth dealers. The system diagnoses the problem and provides the recommended solution to the driver and fleet manager.